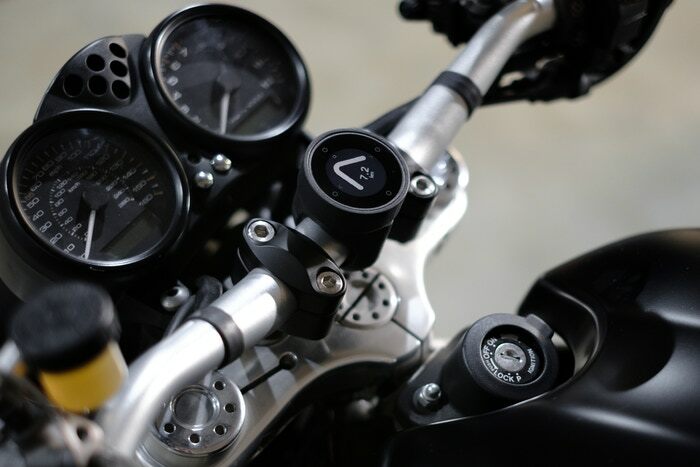 Motorcyclists, rejoice: No longer will you have to rely on glances at confusing maps or hope your headphone navigation is loud enough to be heard the engine. 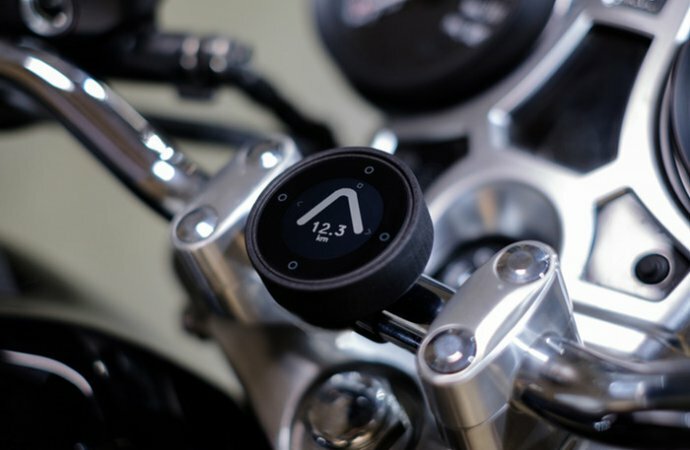 British company Beeline has unveiled a device that temporarily attaches to either the handlebars or fuel tank and reduces directions to a simple arrow and distance reading, among other modes. The Moto –- which resembles an old-time if digital compass –- was originally designed for bicycles. However, the company made some tweaks so the device could handle higher speeds and more vibration. The one-inch device also uses very low amounts of power, which decreases the likelihood of a rider’s navigation cutting out mid-cruise. The company introduced the device on online fundraising site Kickstarter, where it quickly gained traction. As of noon Friday, it had already earned its $50,000 goal six times over. 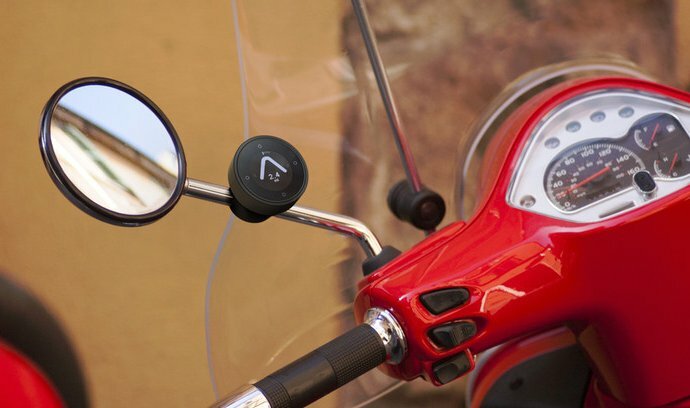 Moto uses a Bluetooth connection to get GPS data from a rider’s cellphone. The device comes with an app that lets users set courses ahead of time, whether that is to a specific location or a route users select using a drag-and-drop pin system. 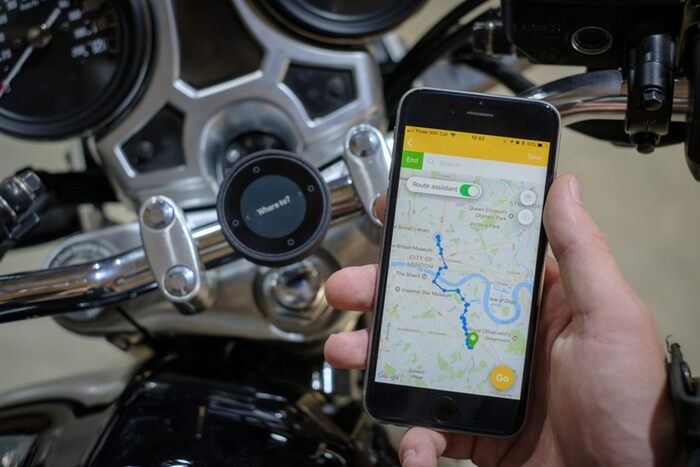 The app comes with worldwide maps, unlike some other GPS devices that only come with a specific continent preloaded. However, the company noted some users may experience issues in mainland China. Other modes on the waterproof device are also available. 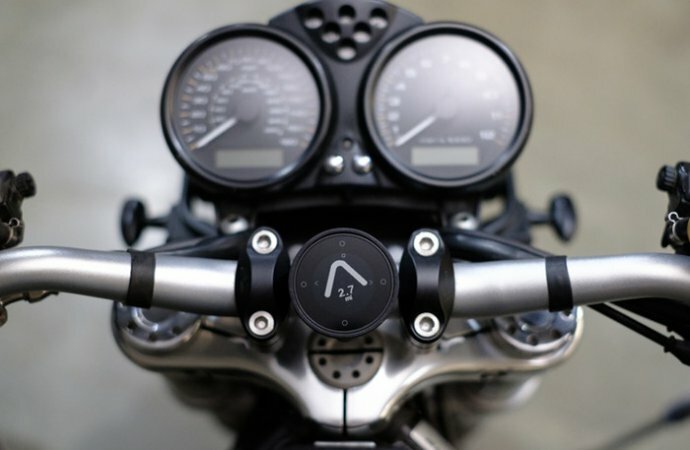 The Moto is expected to be priced at $199, but some discounts and options on Kickstarter could affect that number.